13 years later Fergie and her three boys released a remake of the song got a lot of support from the likes of Usher, Nicole Scherzinger, Jamie Foxx, Snoop Dogg, ASAP Rocky and some other world stars. The remake of worldwide hits is a reaction to the recent events in the world. “I remember the attacks in Paris. People said ‘We need’ Where Is The Love? ‘ again!’ Then came Belgium. And Turkey. And Orlando, “said Black-Eyed Peas singer will.i.am on the Facebook page of the band. 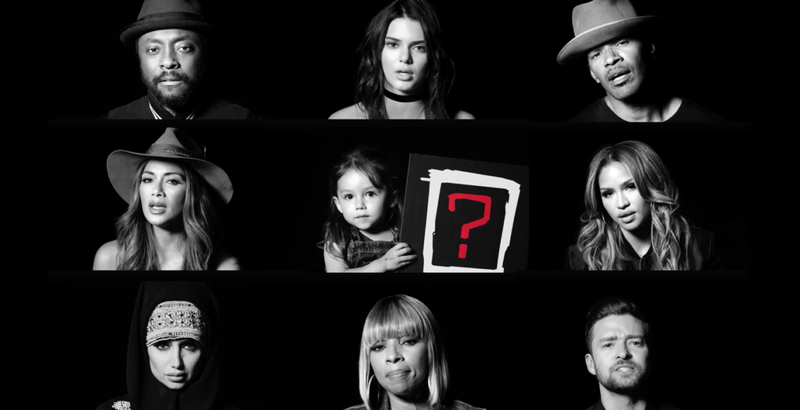 A total of 64 musicians united to set a statement for love and peace in the world – including Justin Timberlake, who was already a part of the original song 13 years ago.